The Minions are back. 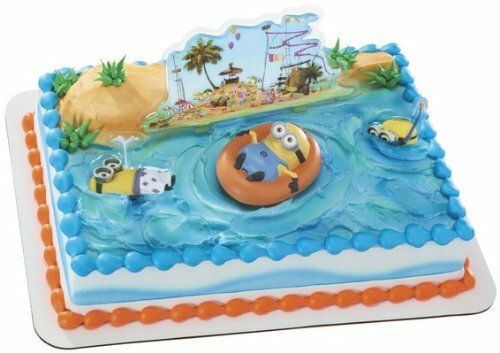 This DecoSet includes one Minion floating in an inner tube, two Minion diver placs, and a plac beach scene to create a fun Beach Party scene. Despicable Me lovers get ready to hang out at the beach with those adorable Minions. Includes a minion floating in an inner tube, two minion diver placs, and a plac beach scene. Cake design works great on a variety of cake formats.